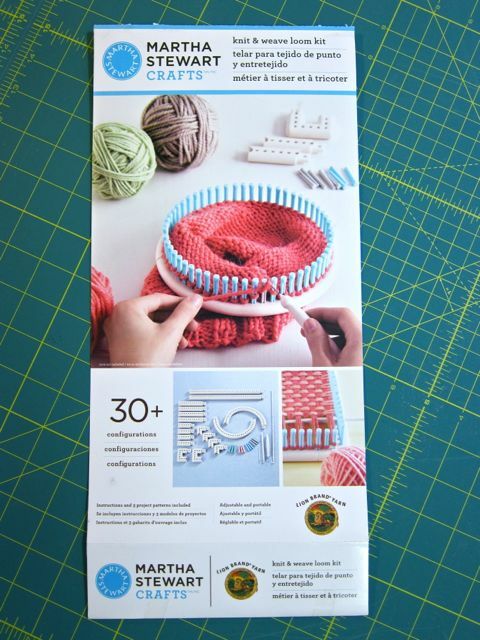 When the lovely folks at Lion Brand Yarn sent me the Martha Stewart Crafts™ and Lion Brand Yarn® Knit & Weave Loom Kit—and a giant box of yarn to use while I was trying it out—I was both very excited and completely overwhelmed. 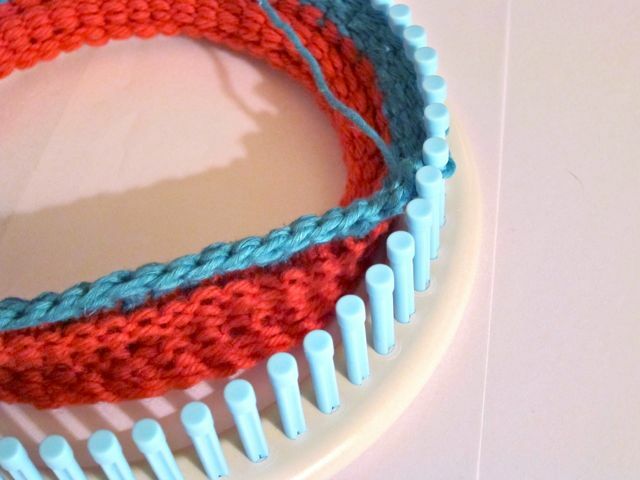 With more than thirty configurations for creating square, rectangle, circle, and oval looms in multiple sizes, plus tools for single knitting, double knitting, weaving, and making rosettes, there were so many possibilities that I didn’t know where to start! 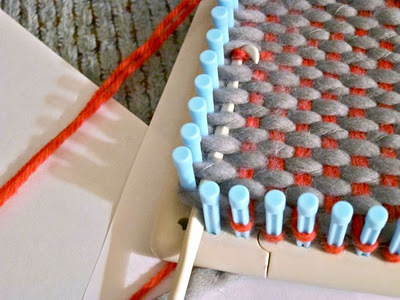 But, when I finally got down to business, I found the loom set to be flexible, easy to use, and bursting with creative possibilities. I tested all of the major configurations and techniques, and had a great time learning new skills and trying out yarn crafts that I’d never done before, like weaving and yarn rosette-making. 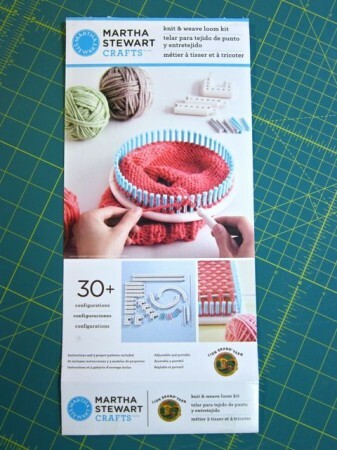 Overall, I found that the kit delivered the beautiful results that were promised in the product description and on the package, and I think it will be a great addition to my yarn crafting arsenal! 1. The loom is easy to assemble and configure into different shapes.